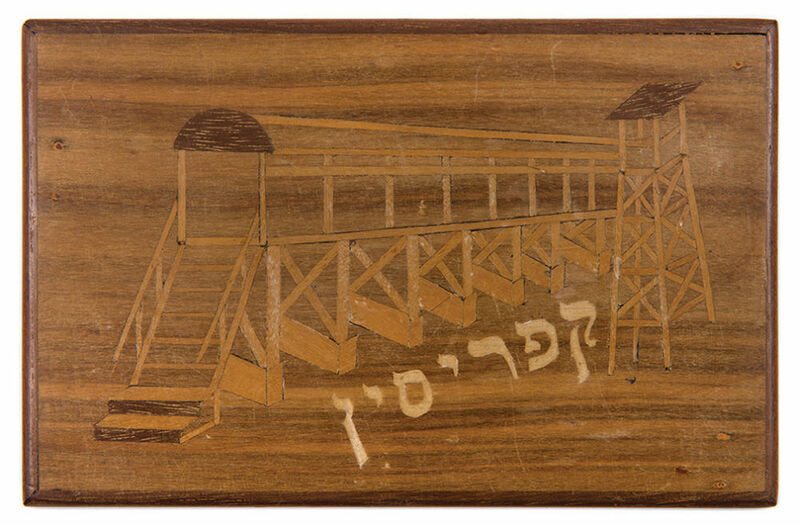 Souvenir plaque from Cyprus detention camps. [1946-1949]. Seen on the plaque are a watch tower and the bridge which connected the two blocks of "Winter Camps" – detention camps no. 64-69 which were located on the east and west side of the Famagusta-Larnaca road. The word "Cyprus" is seen under the bridge. Approx. 17X11 cm. Good condition. Slight damage to wood.